together some of the best and brightest to create fun products with cool packaging and an eye for design.And because we dig the mid-century vibe, Daddy-O has infused our product line with just a hint of retro and a dash of cool. In each of our products, you’ll find an element of history and nostalgia. The packaging for our Vintage Marbles set was inspired by our dads’ old “Klein” tool pouches from the garage. Our “Fuzzy Dice” game could have come straight out of a ‘59 Mercury. The petroglyphs on our Mancala set are actual images from rocks in the African deserts. The Derek Puzzles hearken back to a time when Tiki and Martinis were all the rage (the first time around). And the tin case for our “RoadTrip” game is a dead ringer for a certain vintage trailer from 1961. Perhaps most importantly, each product is designed and developed with a focus on quality. You’ll get a whole lotta’ good for the dough – in products you’ll be proud to own or to share as gifts. 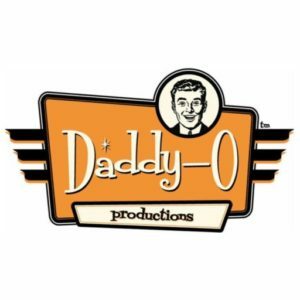 We’ll keep noodling on new and different goodies for you – stay tuned in for the latest and greatest from Daddy-O!